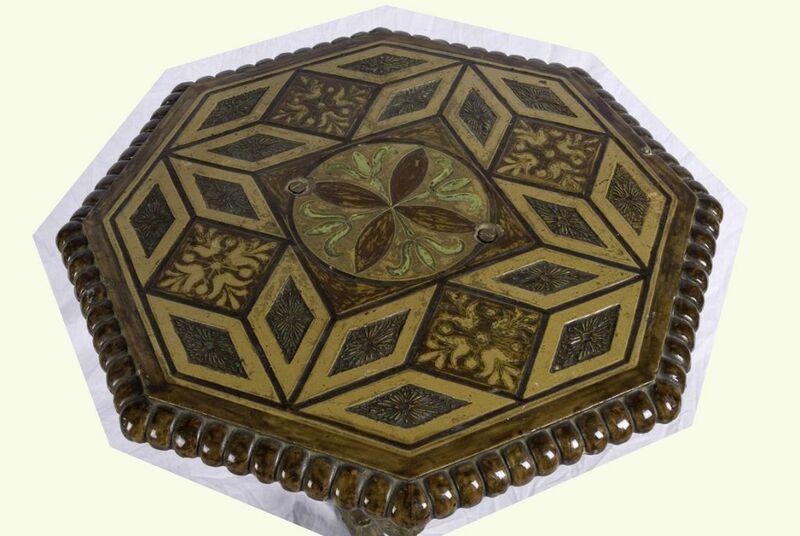 The wonderful geometric pattern of this table is created out of wood. 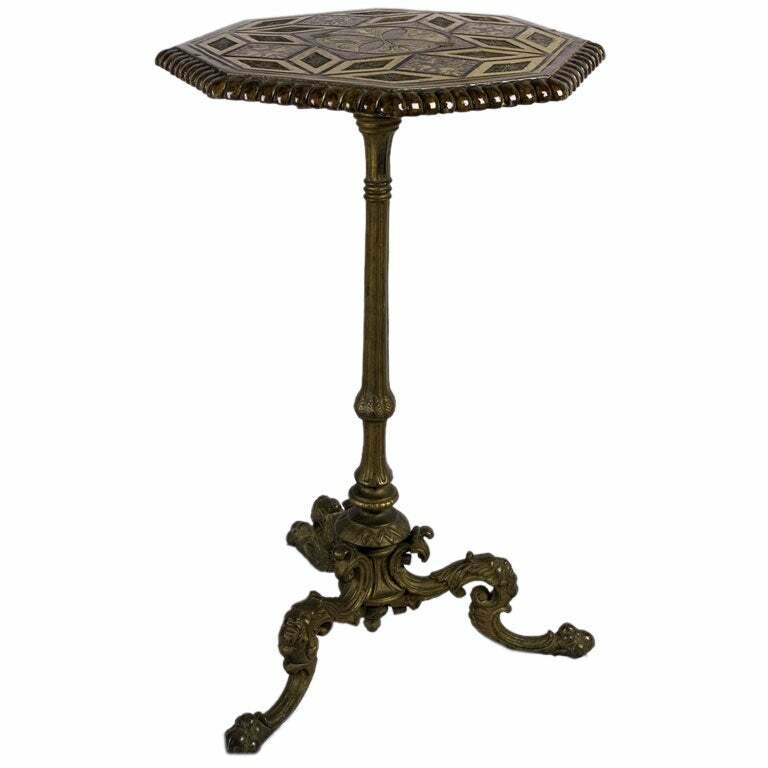 The three leg central support is gilt-iron and has wonderful scrolled feet. 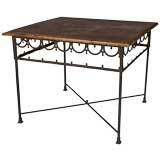 This table is the perfect size next to a sofa or armchair to hold a lamp, accessories and a drink or cup of coffee. 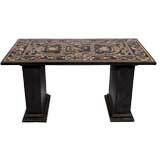 It has a great sculptural feeling about it and the beautiful inlaid marquetry top make it a one of a kind find! 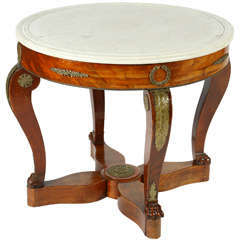 Empire period marble topped gueridon with a flamed mahogany base, finished with a lustrous French polish. 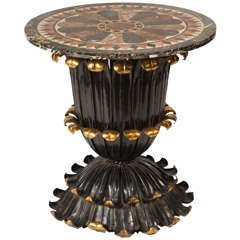 The foot have a finely cast brass ring for decoration. 19th century French gueridon with a beautiful flamed walnut.